For many centuries now there have been men and women praying for, weeping for, fighting for, even dying for the hope that one day, Christians who fill Catholic, Orthodox, and Protestant/Evangelical churches across the globe would takes seriously again Jesus’ prayer in John 17 that those who call on the name of Jesus would be one, as much as we are able to on this side of redemption. This local movement is, I believe, a move of God that is happening worldwide as believers are responding to this prayer in a fresh new way. There is much timidity for many believers on both sides to consider coming together with the “other side”. I invite all of those who are timid and fearful to come November 2nd, even with reservation and caution, to worship Jesus, and to pray with others who have the same mind and heart, to exalt Christ, and experience the reality that there is no “other side” with the body of Christ. The desire is to display the beauty and unity of Christ’s body and blood, as those who in the past, killed one another, are now praying and worshiping together. If you love the gospel, then you have to love reconciliation which is at the heart of the good news of Jesus. 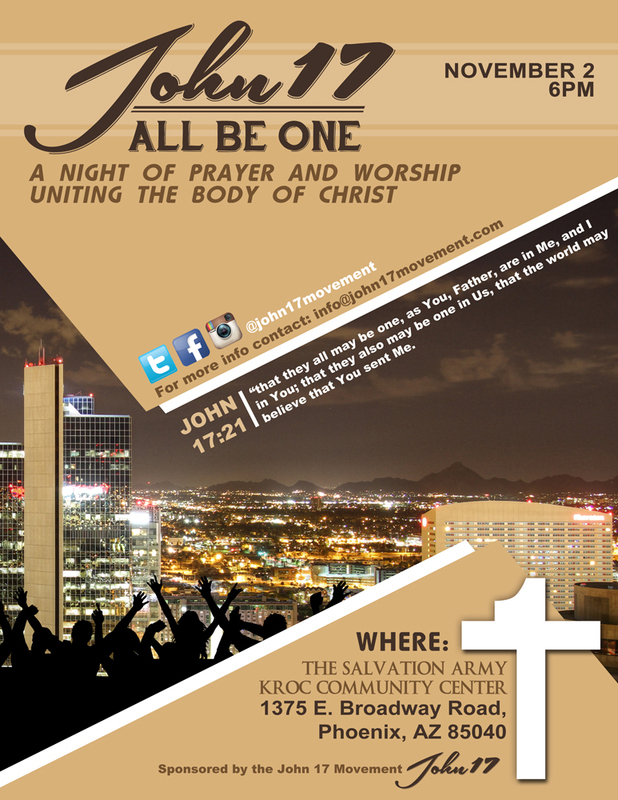 Consider joining many of us Sunday night, November 2nd, at the South Phoenix Kroc Center, 1375 E. Broadway Rd. Phoenix, AZ 85040; and please help us by getting the word out across the valley of the sun!